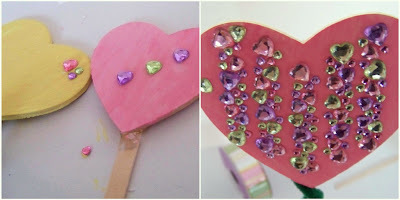 Nothing says lovin’ like a handmade “I Heart You” Bouquet! 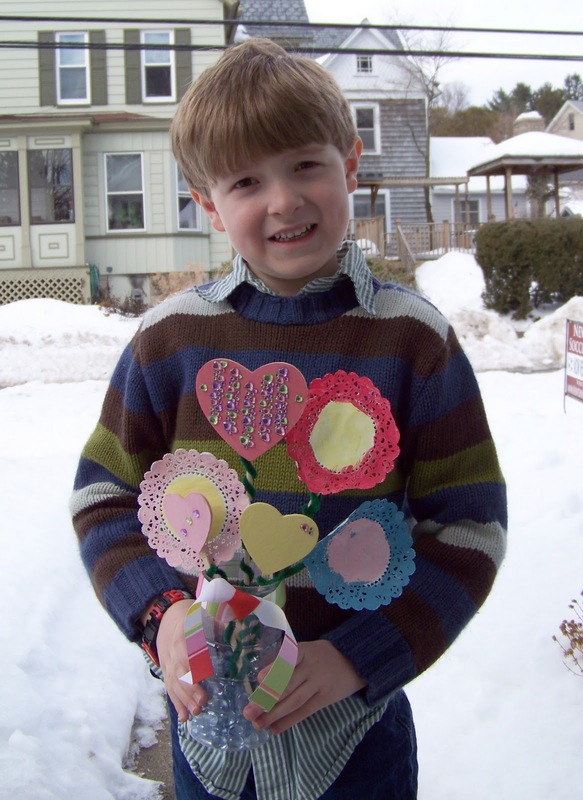 These bouquets make a heartfelt gift for parents, aunts, grandparents and teachers. 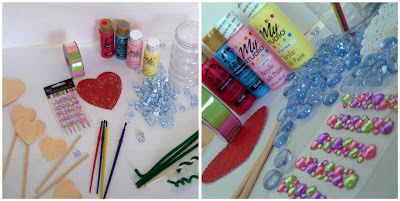 Collect a few basic supplies, reuse an empty plastic bottle, and gather the kids for an afternoon of Valentine’s Day fun! Step 1: Using your choice of colors, paint the wooden hearts- allow them to dry. Step 2: Paint the center of the doilies yellow, then paint the outer edge as desired; allow the flowers to dry. 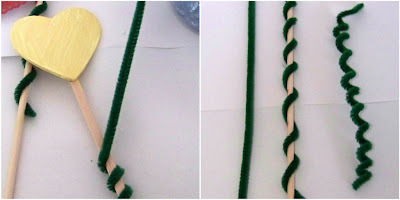 Step 3: Wrap the pipe cleaners around the heart sticks to create the green “stems.” To create “stems” for the flowers, “twist” additional pipe cleaners around a wooden dowel, as pictured, and slide them off so that they are springy and flexible. Alternately, you can keep them straight if you prefer. 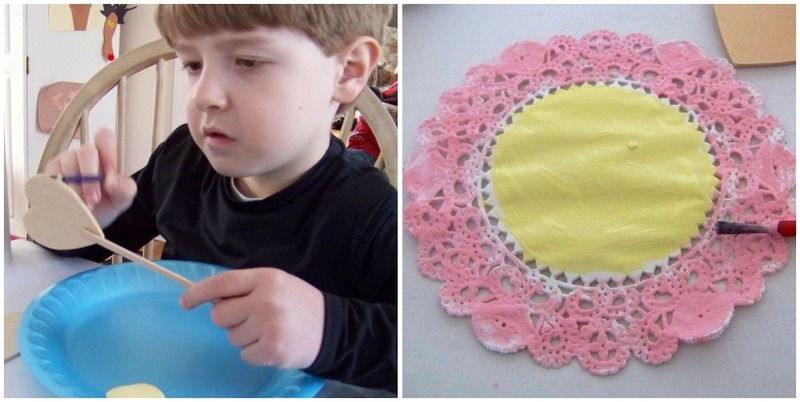 Step 4: Affix each doily “flower” to a green pipe cleaner “stem” simply by taping the stem to the back of the flower. Step 6: Place the glass marbles or gems into the bottom of the plastic container. 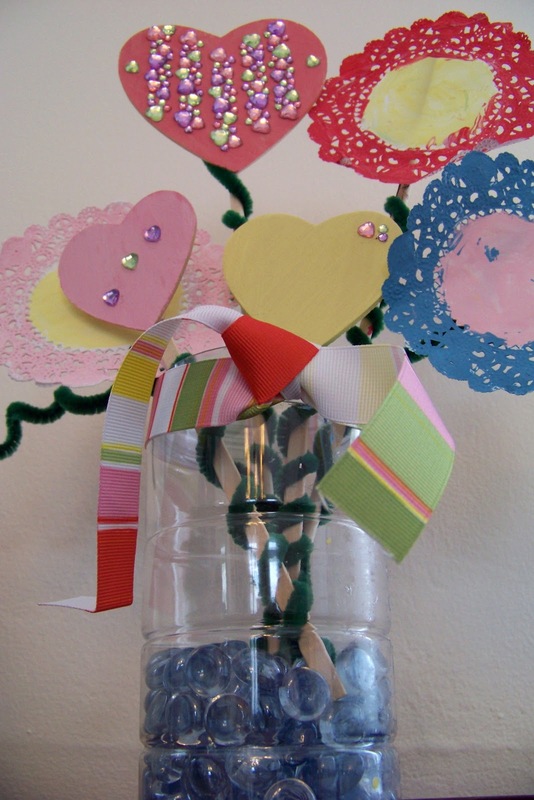 Arrange the doily flowers and decorated hearts by inserting the “stems” into the glass gems at the bottom of the container. Add a matching ribbon and your “I Heart You” Bouquet is ready for delivery! I love this! Beautiful AND meaningful.